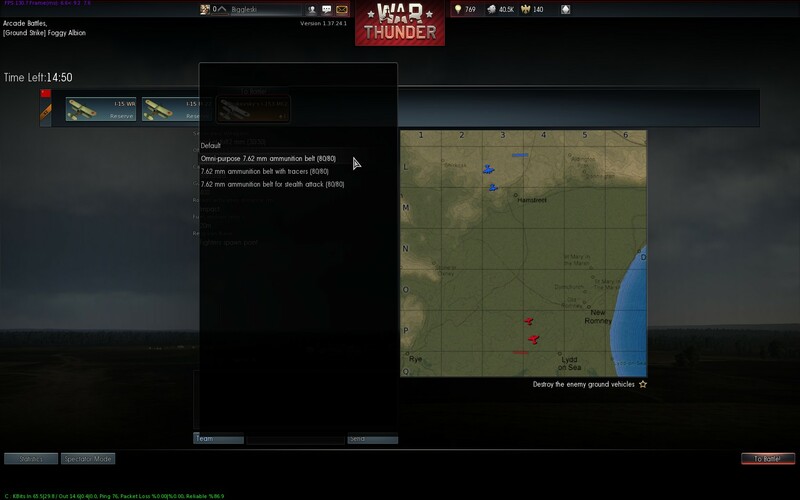 A Beginner’s Guide to War Thunder – After Your First Battle | Killed in a Smiling Accident. The icons along the top (just under “Mission Failed”) can represent awards earned during the battle (like “Fighter” for destroying the most enemy aircraft, or “Bomber” for destroying the most ground targets), progress towards in-game achievements, assorted rewards (such as new pilot icons) and research results; hover your mouse over them for a description. The main section should be fairly self explanatory, hopefully you managed to hit or even destroy an enemy or two, if not at least you get something for the time spent in battle! 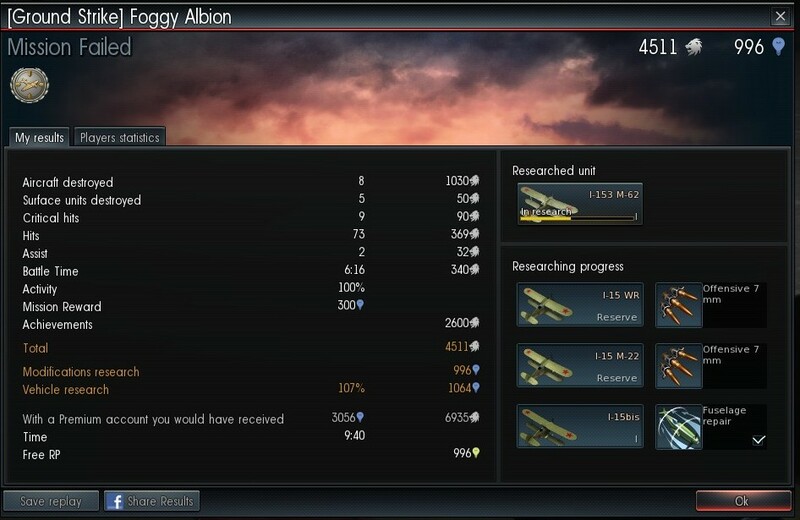 Rewards come in the form of money (with the silver lion icon) and Research Points (RP, with the blue light bulb icon). We’ll get on to research later. 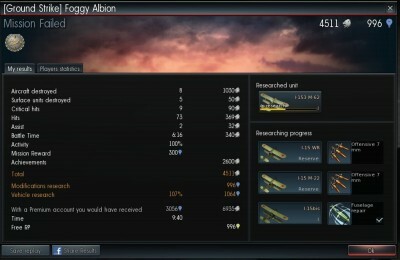 For now, more importantly, after your first battle you should get a nice present: a new free aeroplane! Chaika? I hardly know ‘er! This only happens for the first country you play, so don’t get too used to the generosity, and it’s one of the main reasons I suggest picking the USSR to start with. 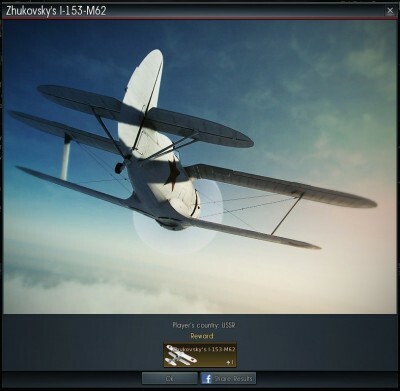 The I-153, known as the Chaika (Seagull) due to the upper wing, is an excellent early plane; the alternatives for the other countries (the F2A, Gladiator, CR.42 and A5M) are decent enough, don’t despair if you didn’t pick the USSR to start, but the Chaika is pretty nifty, so let’s get it into service! Click on it and you can select from the wide range of aeroplanes you have available (i.e. Zhukovsky’s I-153-M62); click on the plane to put it into service. When you add a new plane to your line-up you have to pay to train the crew for it, only 150 Silver Lions in this case, and the crew remember all their training, so even if you’ve upgraded in the future you can put them back into the I-153 without having to pay again. 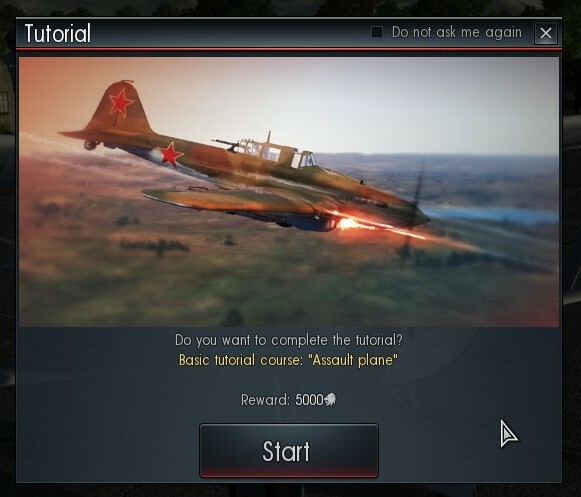 It’s always worth running through tutorials, for the cash reward if nothing else; this one teaches you how to attack ground targets with rockets and bombs. We’ll go into a bit more detail about ammunition later, as a rule of thumb you can’t go far wrong with omni-purpose. So it’s back into battle (remember: shoot the red things, don’t shoot the blue things), get some rewards at the end, rinse and repeat. If you’re having a bit of trouble against other players you can always re-run the tutorials, they can be found under “Menu” at the top of the screen. For more free-form flying practise, there’s a “Test Flight” option if you click on your aircraft, allowing you to have a nice leisurely fly around. If that’s just a bit too leisurely you can add a bit of excitement via the “Mission Editor” in the bottom left of the Test Flight screen that allows you to set up a custom mission for various scenarios such as combat air patrols, intercepting bombers, defending tanks or attacking artillery with AI comrades and opponents. I really enjoy goin through your guide (a complete newcomer to the game, and i’m reading this before first boot) seems to be goo solid advice in an easily digestable form. Thanks very much, and that’s an excellent idea. I shall add a return to index link forthwith! This a very nice, simple informative guide for new players. I am getting the game for the first time and your tips may help me once i load into it.